The International Association of Women Police is the oldest organization established for women in policing. With members around the world, our network is unique. As a member, you can tap into the Member Directory, the Member-Only news and announcements, and our Broadcast Service for notices and opportunities. Members also get a reduced fee at the Annual Training Conferences. 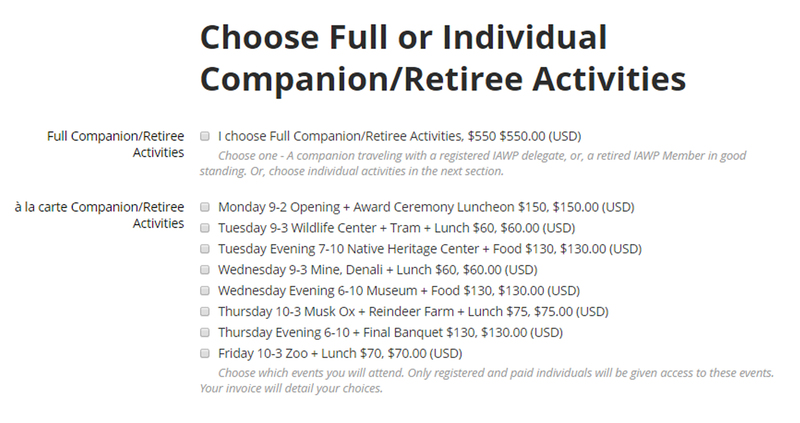 Companion/Retiree activities do not include training and are a separate registration. We do verify registration levels and will contact you for more information. Use this link for conference and event details. Use this link for the venuedetails. Use the links below to register and pay. PAYMENT. Payment is expected upon registration. We shall only issue a Visa letter after payment is received. 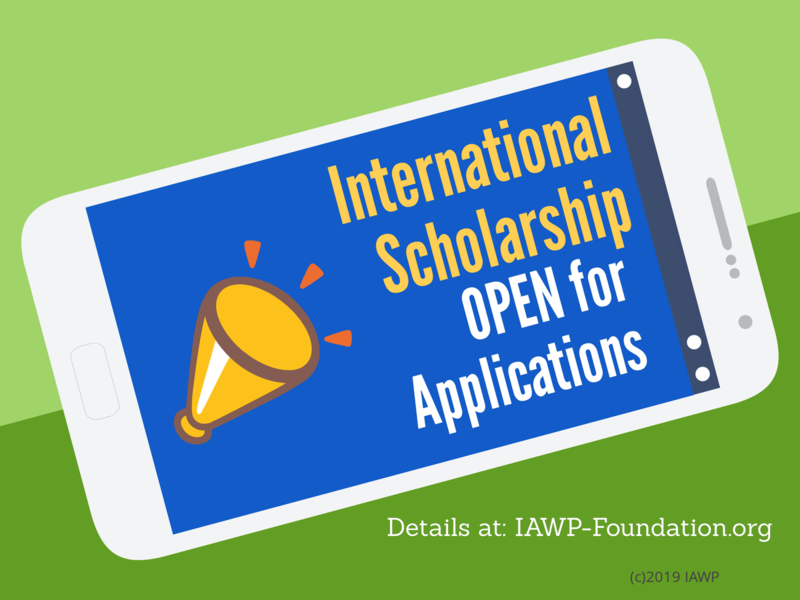 IAWP 2019 offers 6 different ways to pay: Credit Card, Debit Card, Western Union, Wire Transfer, Check, American Express (or a similar) Money Order. Details are on your registration invoice. Conference registration may be transferred to another delegate prior to August 1, 2019. Contact Kalie Bell IAWP 2019 Registration to make a change. Regular registration fees apply to all payments made on and after May 1, 2019. Visa letters follow payment confirmation. No Training is included in this level. Defined as an individual(s) who accompanies a full-paying registrant to the conference such as a spouse, significant other, family member, friend, OR, a fully retired IAWP member in good standing. • To increase understanding of the roles of women police throughout the world. • To encourage international participation in the International Association of Women Police. • To promote membership in the International Association of Women Police through the recipient of this award within her region. • To increase international understanding and awareness of women in law enforcement and the International Association of Women Police. • To improve women’s ability to excel within criminal justice by ensuring that the achievements of women and their contributions to criminal justice and to society are recognized; raising the profile of gender issues to organizations and government; and encouraging networking and peer support. The IAWP was founded in the United States in Los Angeles, California in the year 1915 to strengthen, unite, and raise the capacity of women in policing internationally. IAWP members are now in 60 countries and counting. The IAWP provides training, mentoring, scholarships, peer support, networking and opportunities to help lead the organization. 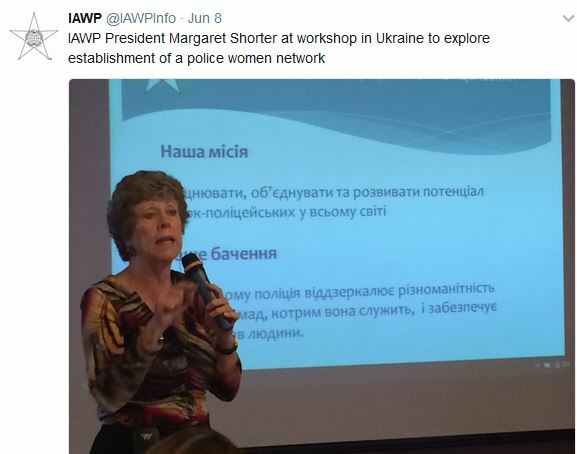 IAWP highlights issues affecting women in law enforcement throughout the world. WomenPolice Magazine, published quarterly, is a benefit of membership. Join today to help forge the future of women in law enforcement. Copyright International Association of Women Police. All Rights Reserved Internationally. The IAWP is a 501(c)6 non-profit organization registered in the United States.